You won’t be able to lift or grasp anything of significant weight or be able to hold an object until the tennis elbow treatment has proved effective. It’s worse in the morning, waking with a very stiff elbow and a constant ache. It also causes soreness in the forearm and tenderness to touch. In other words, it will not just be your tennis shots that are affected! 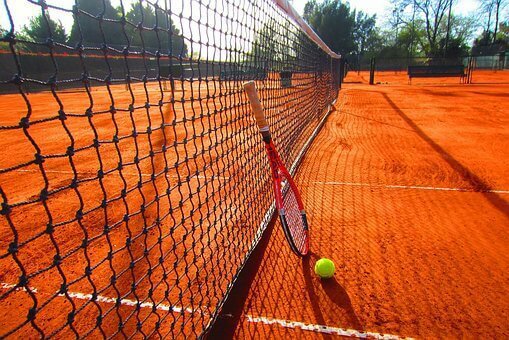 You’ll not only be off your tennis game, you’ll also have difficulties and suffer pain, implementing day-to-day activities. So what can you do about it? For starters, review the following tennis elbow treatment by viewing the following video and doing the exercises daily – they will be difficult at first and get easier in time. Once the symptoms dissipate, continue doing the exercise regularly if you are still playing tennis, until you stop, to avoid a repeat. a) Ice the area for 20 minutes, twice a day to relieve the pain by decreasing the inflammation. b) Take over the counter anti-inflammatory medications such as aspirin or ibuprofen. d) If you are based in Bahrain, Iran, Iraq, Kuwait, Oman, Qatar, Saudi Arabia, or the United Arab Emirates, look into purchasing the PainShield from MediSpera. The PainShield treats tennis elbow and other painful neurological, bone, joint and muscle complaints using therapeutic ultrasound in a wearable, home care, lightweight device. Contact us for more information. e) In more severe cases, steroid injections may be recommended by your GP or consultant. f) In rare cases, some have surgery as a last resort, normally in an outpatient clinic and in candidates who have suffered with the pain for 6-12 months. So now that you know the symptoms and available treatments, I’m sure that you’ll agree with me, frequent prevention exercises of the kind that Ben demonstrates the tennis elbow treatment and prevention exercise in the video below are probably your best option. Best of luck and anyone for tennis? !